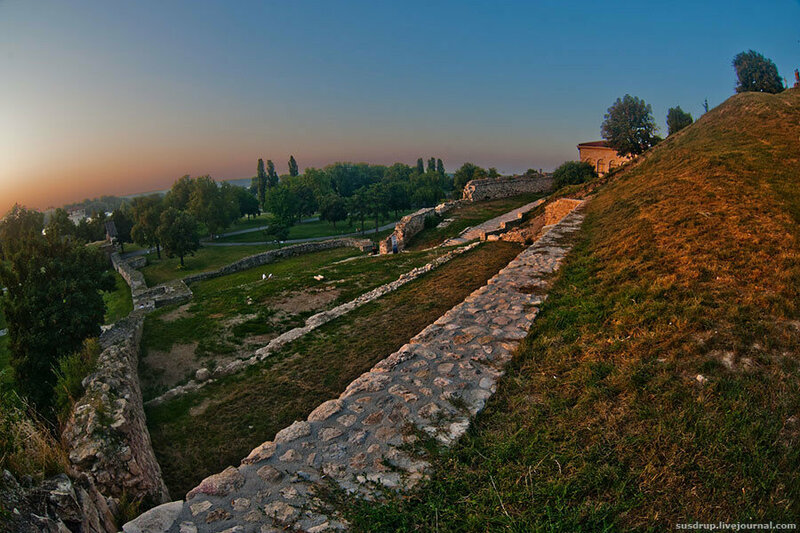 Kalemegdan is a park-fortress and an urban, but not residential neighborhood of Belgrade, the capital of Serbia. 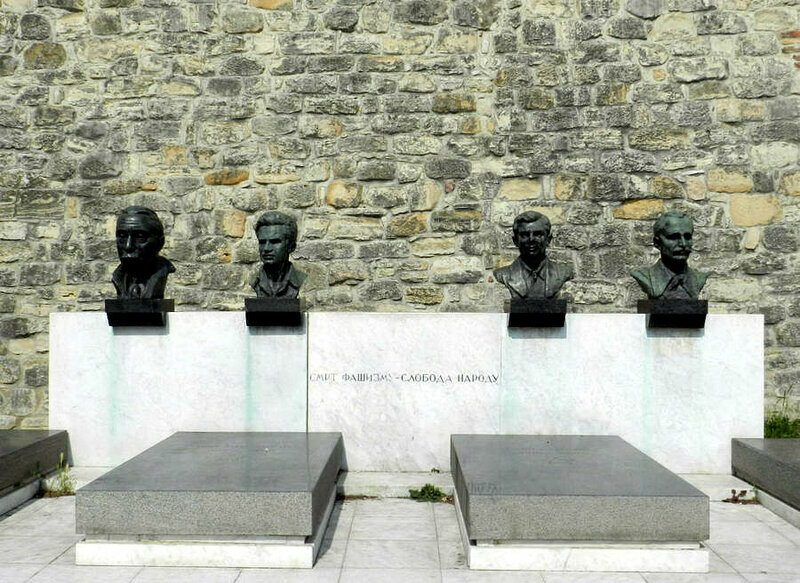 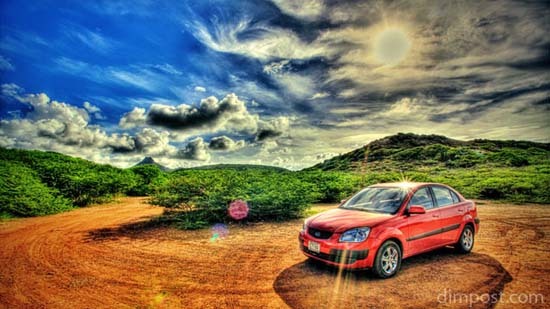 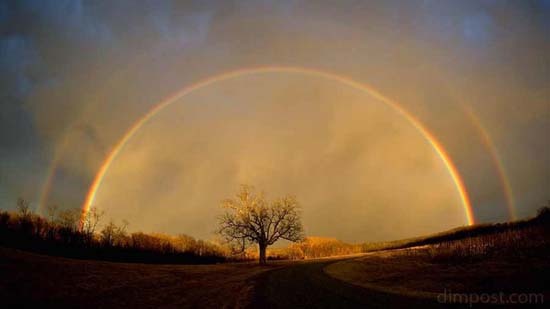 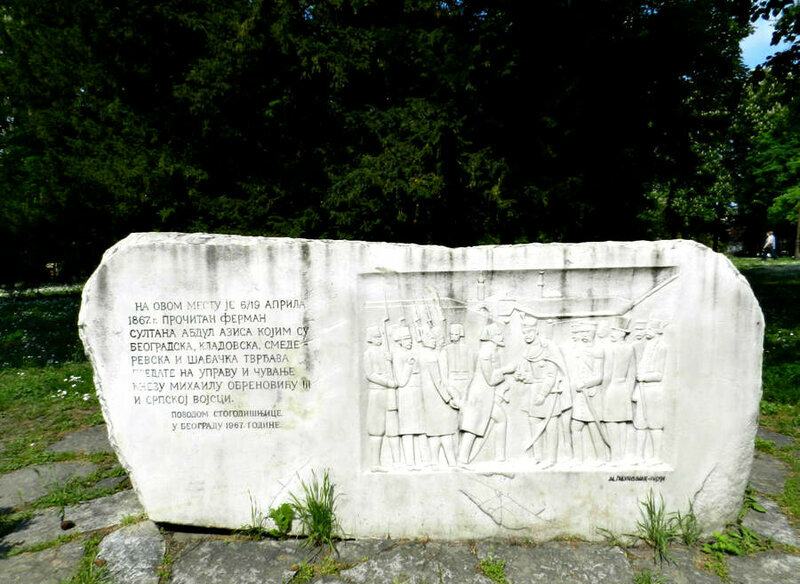 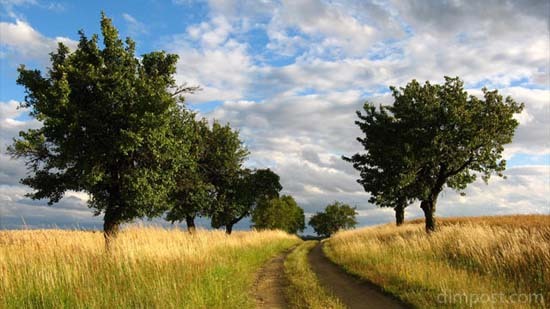 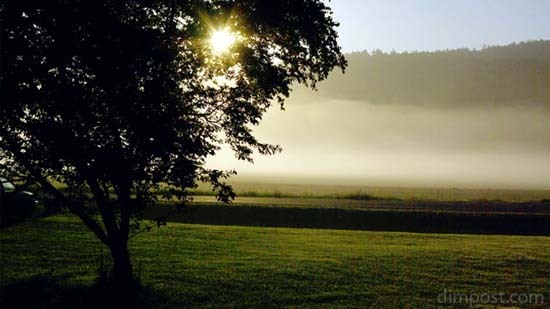 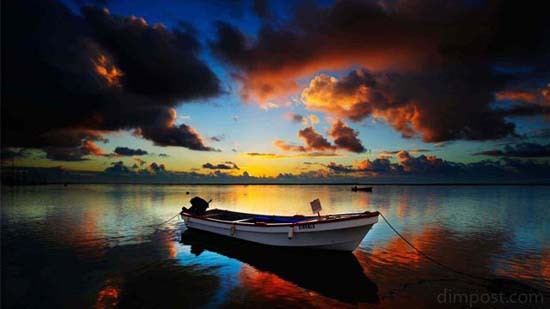 It is located in Belgrade's municipality of Stari Grad. 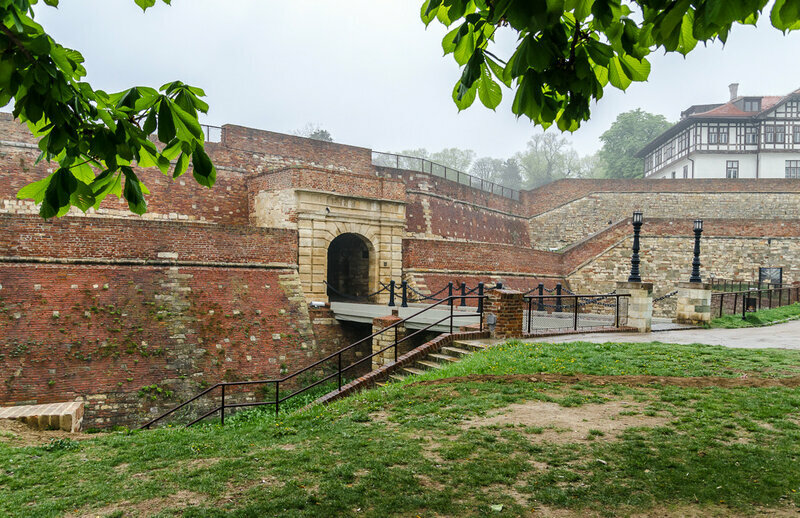 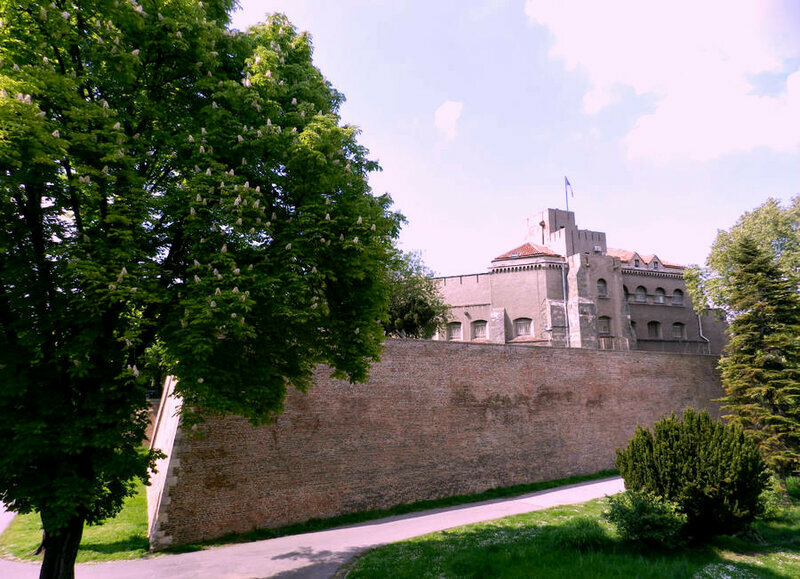 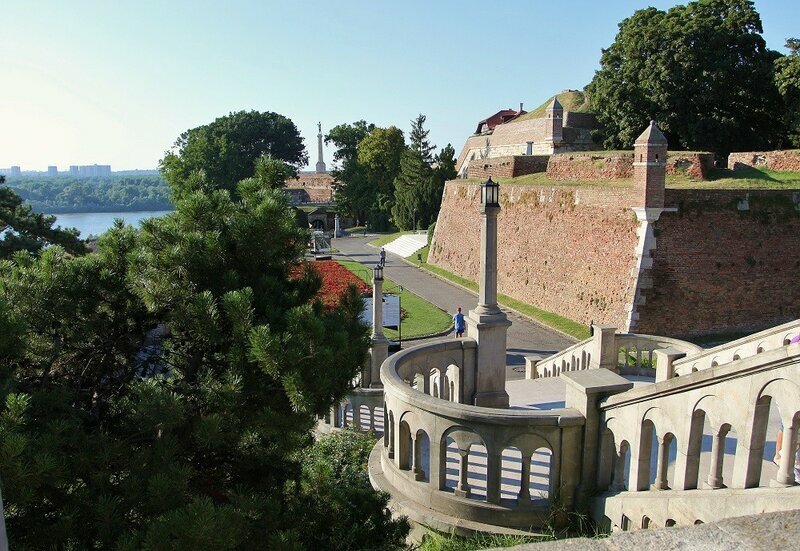 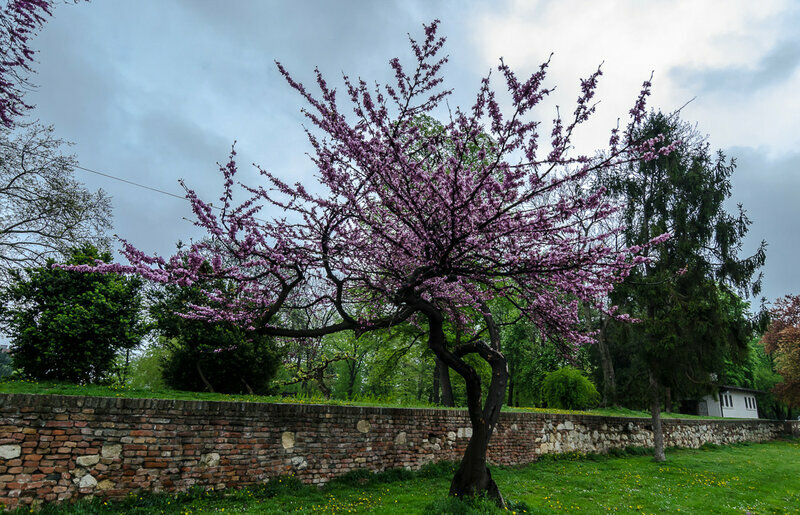 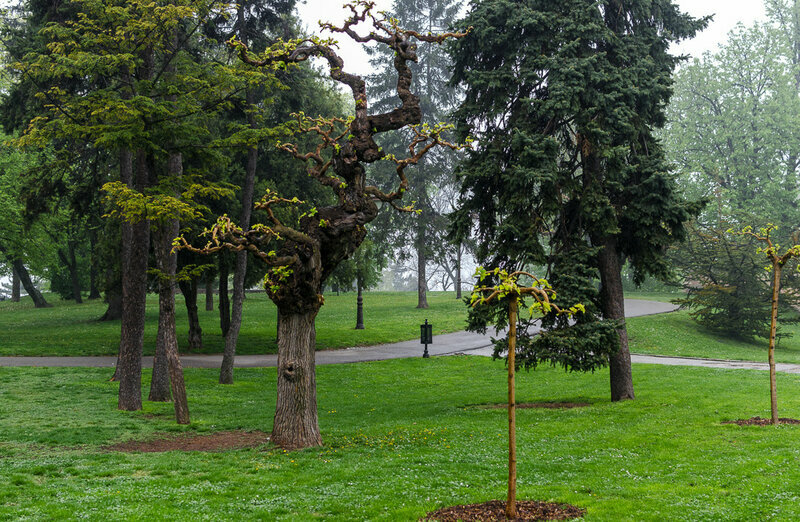 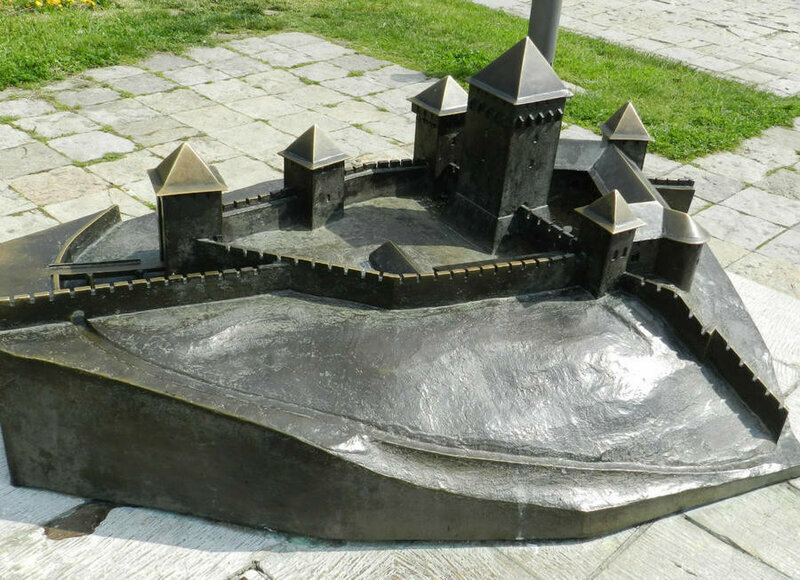 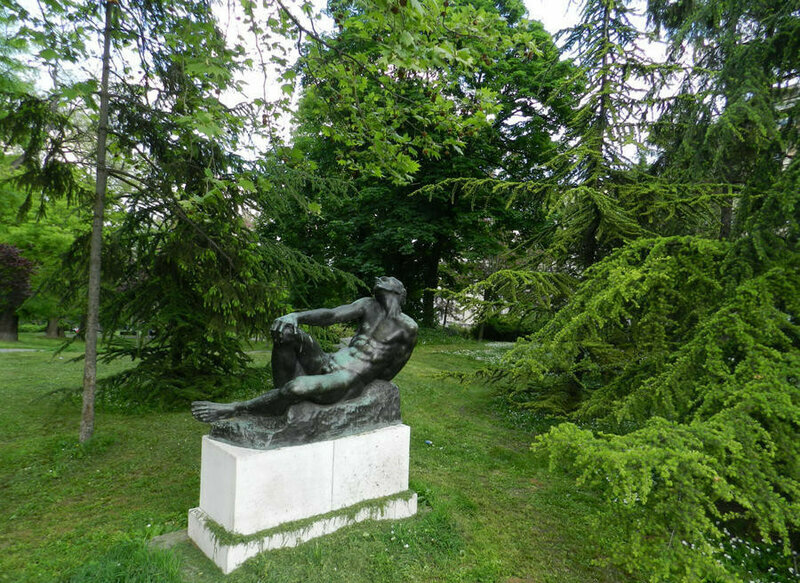 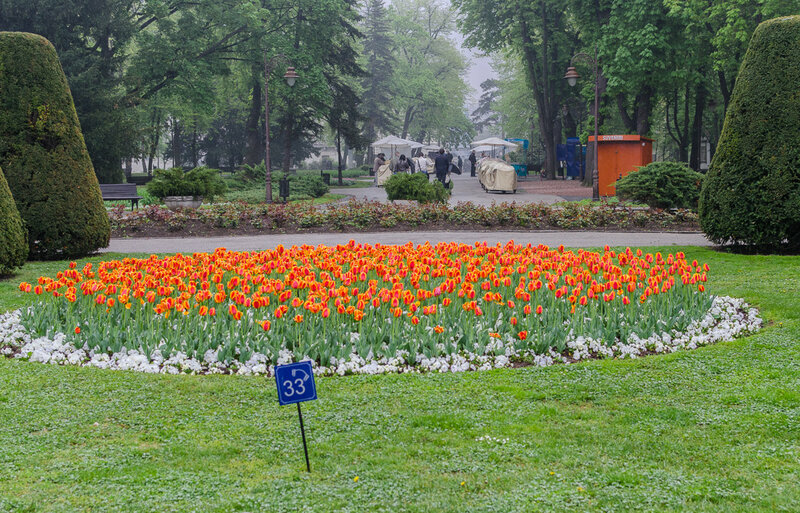 "Great Kalemegdan" is one of its' parts and it occupies the southern corner of Kalemegdan, with geometrical promenades, Military Museum, Museum of forestry and hunting, Monument of the Graditutde to France. 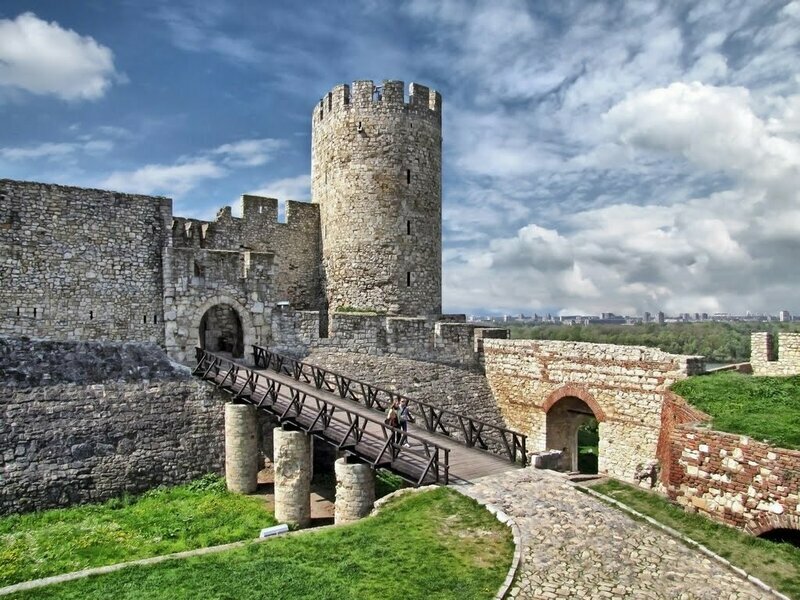 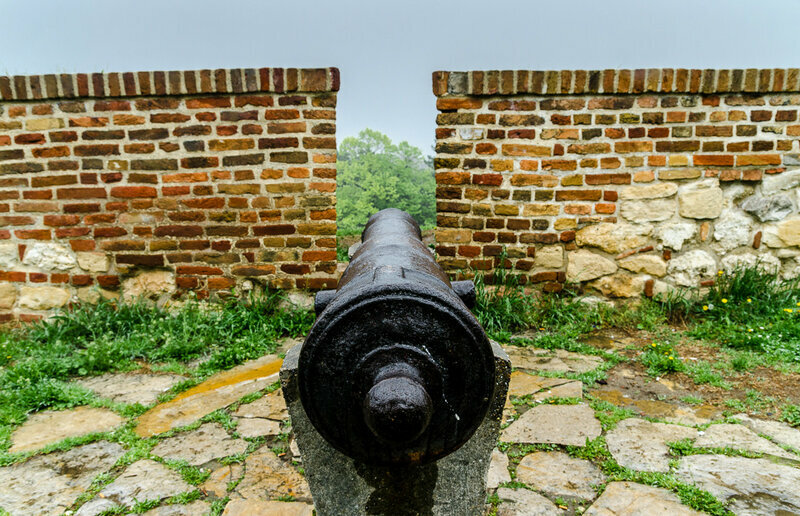 Some 115 battles have been fought over imposing, impressive Kalemegdan; the citadel was destroyed more than 40 times throughout the centuries. 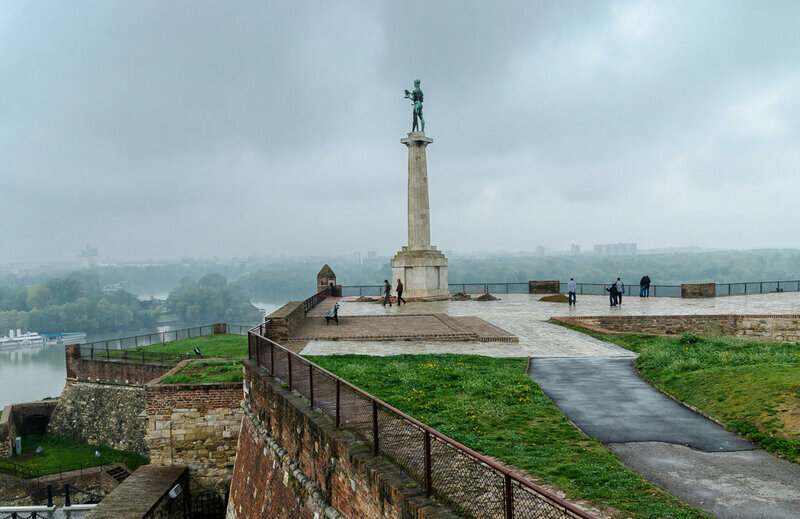 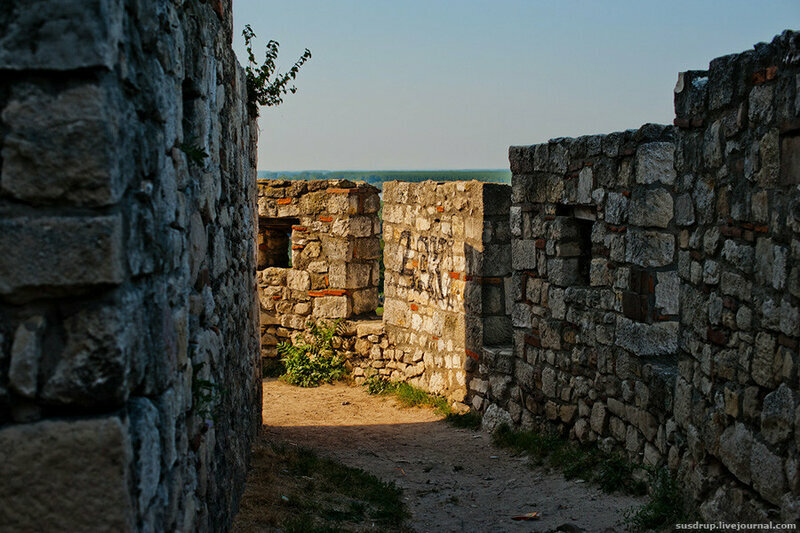 Fortifications began in Celtic times, and the Romans extended it onto the flood plains during the settlement of 'Singidunum', Belgrade's Roman name. 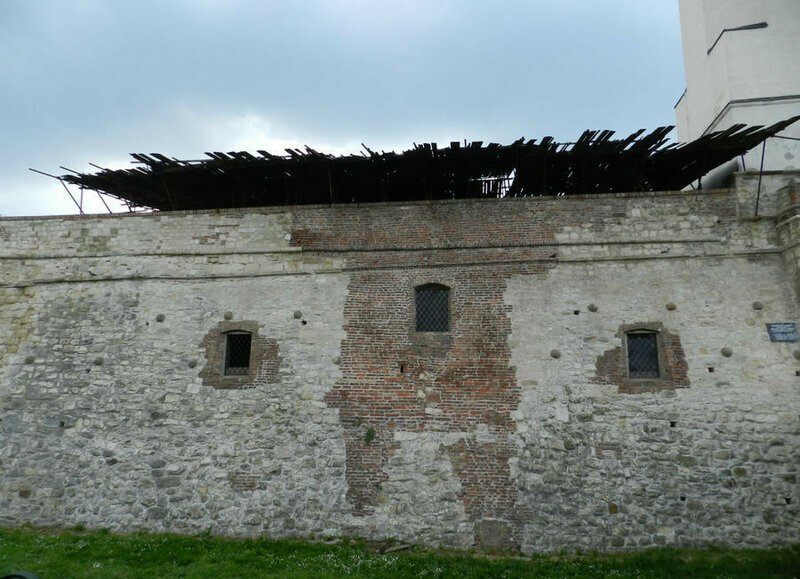 Much of what stands today is the product of 18th-century Austro-Hungarian and Turkish reconstructions. 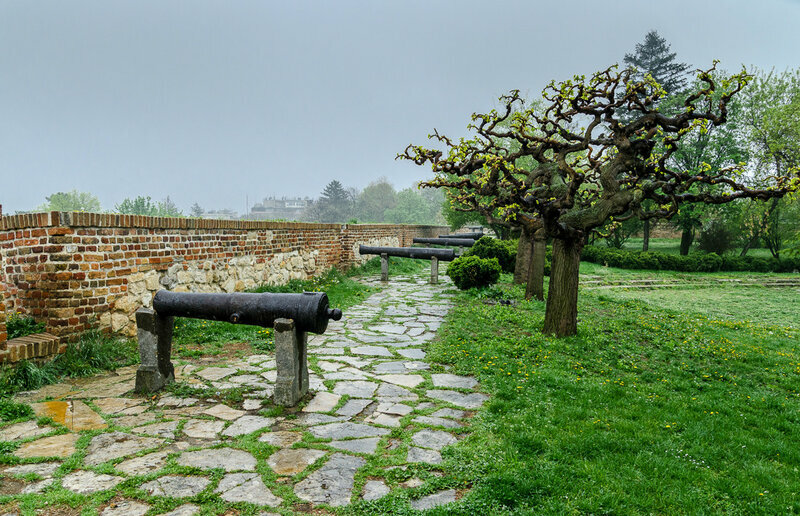 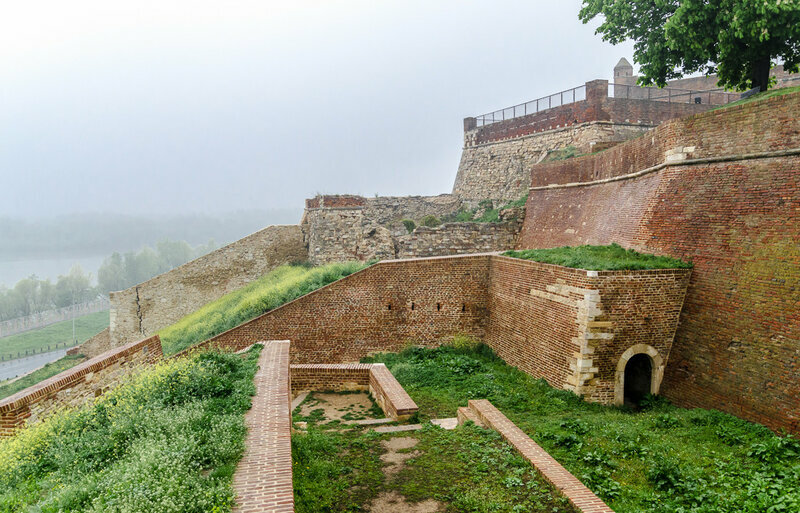 The fort's bloody history, discernible despite today's plethora of jolly cafes and funfairs, only makes Kalemegdan all the more fascinating. 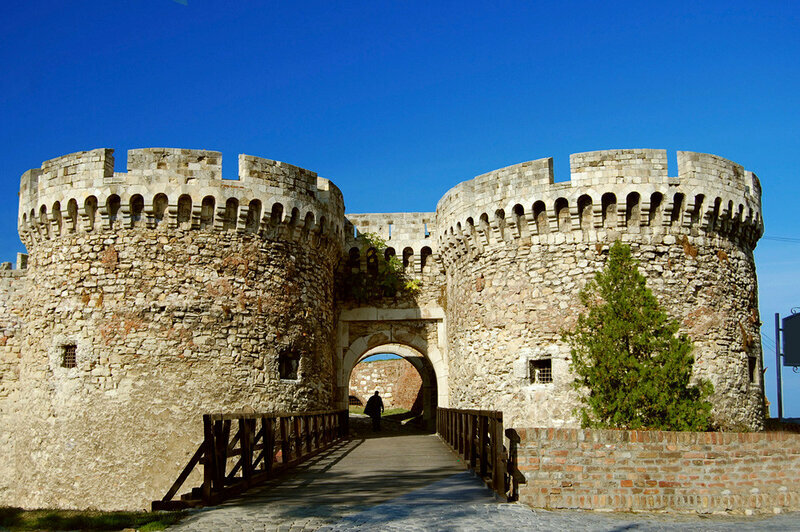 Entering from Knez Mihailova, go through the 18th century Karadjordje Gate to reach the Upper Town (Gornji Grad) of the fortress. 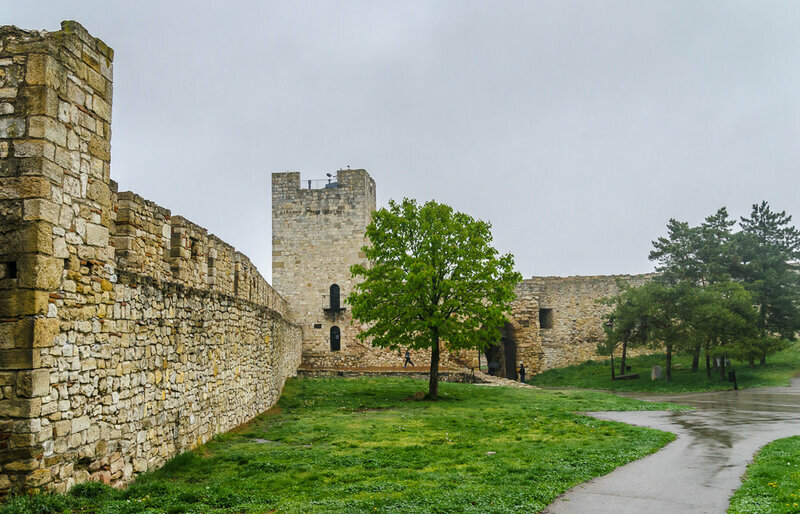 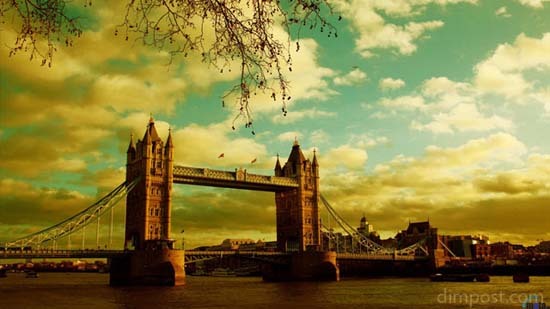 From the 1750 Inner Stambol Gate, you'll reach the Military Museum and the 27.5m-high Clock Tower. 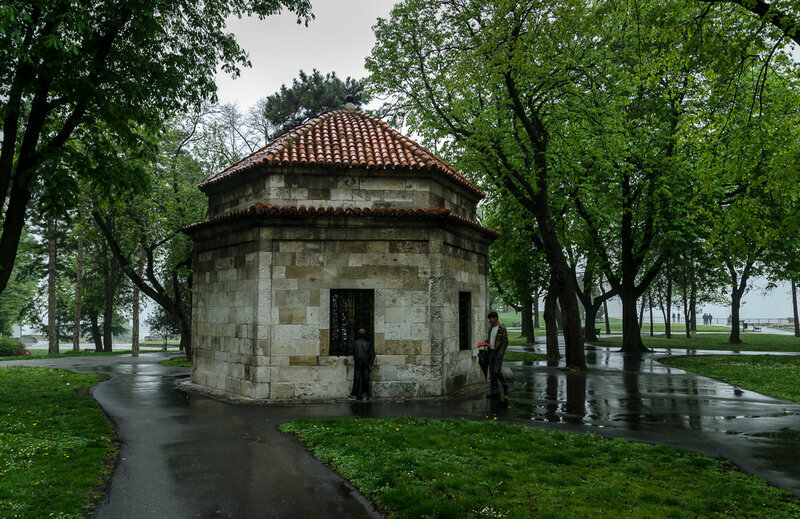 Further along, you'll see a small brick octagon; this is the 1784 Ali Pasha's Turbeh (tomb), one of Belgrade's few well-preserved Islamic monuments. 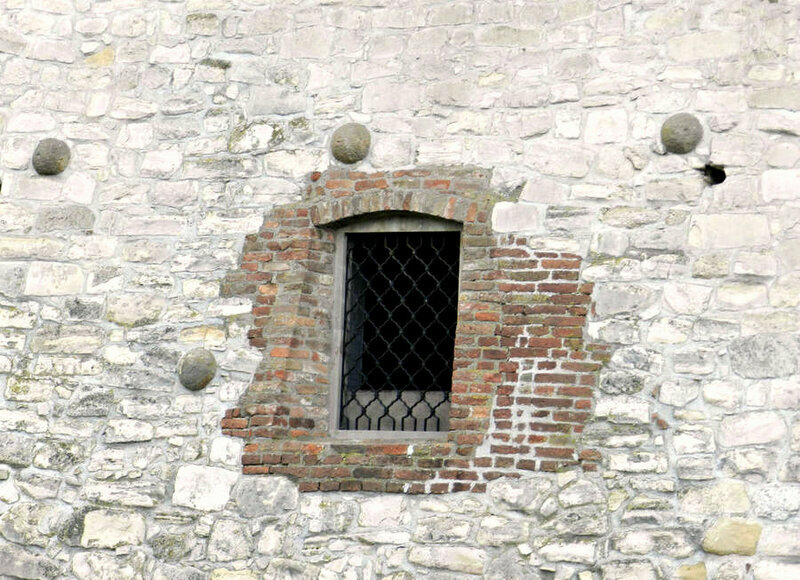 The Roman Well is nearby, a mysterious 60m deep hole (more a cistern than a well) of dubious origin and shrouded in horrifying legends; apparently the well even managed to creep out a visiting Alfred Hitchcock! 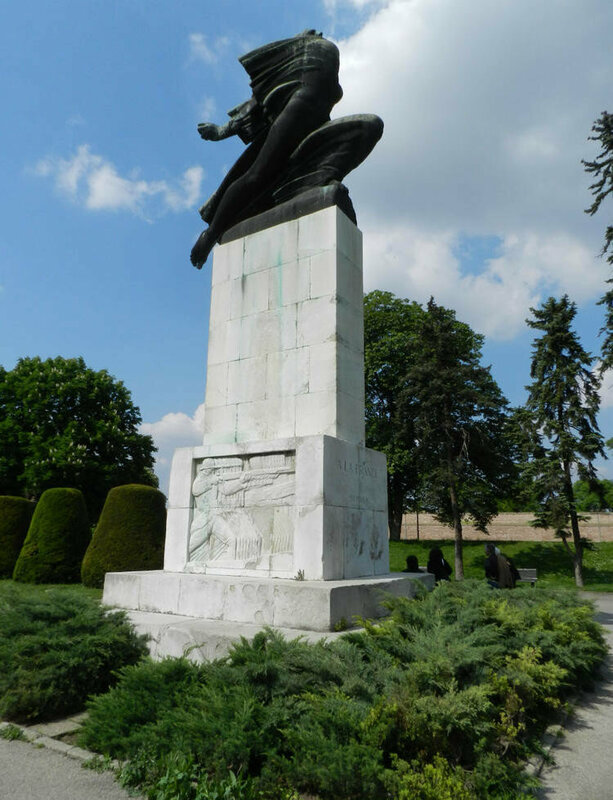 Looming beside it is the Victor Monument, a symbol of Belgrade erected in 1928 to commemorate Serbia’s victories during the Balkan Wars and WWI. 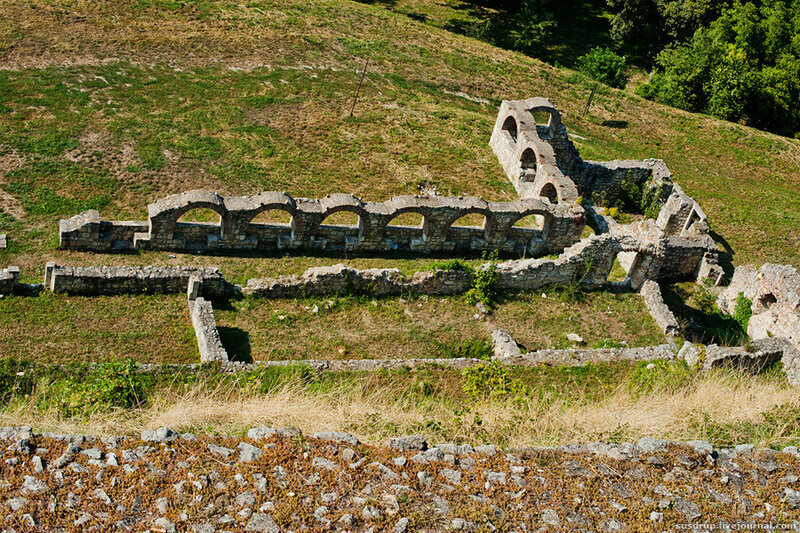 The Lower Town (Donji Grad) slopes down towards the river. 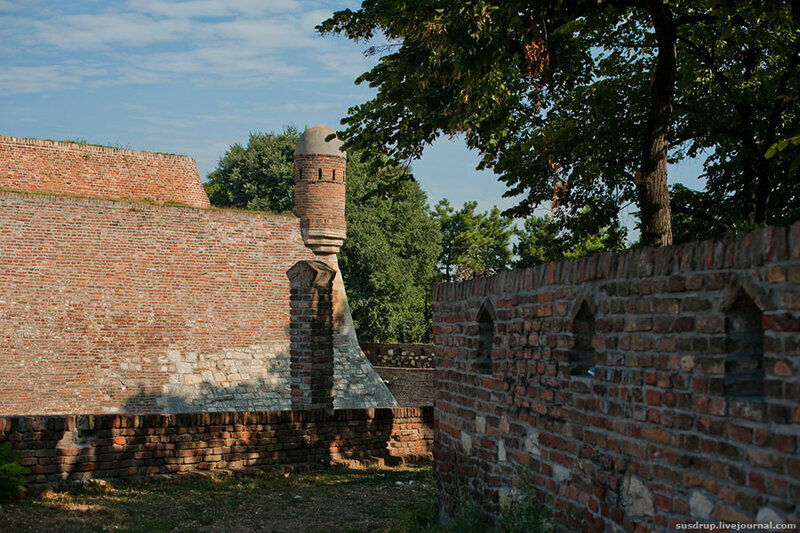 The huge Gunpowder Magazine (1718) was set up by the Austrians as a safe place to hide artillery; today it houses a collection of stone monuments, including Roman sarcophagi, tombstones and altars. 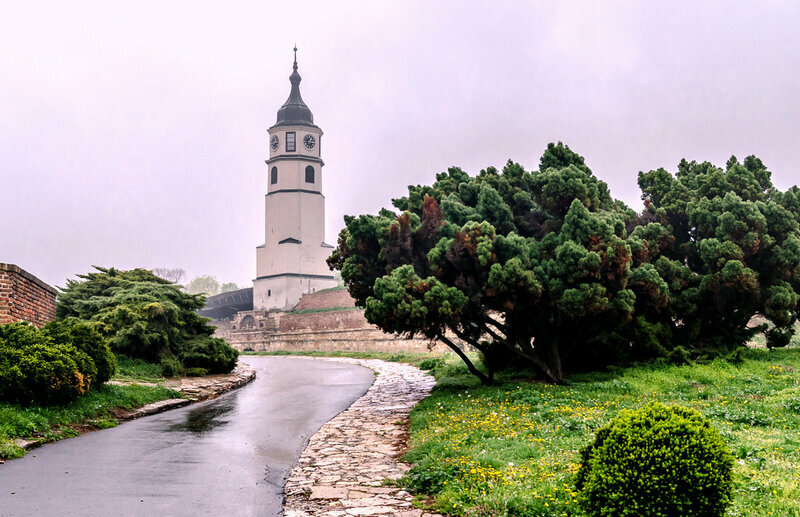 Further east, the ivy-swathed Ružica Church looks innocuous from the outside; inside, you'll find chandeliers made by WWI Serbian soldiers from spent bullet casings, swords, rifles and cannon parts. 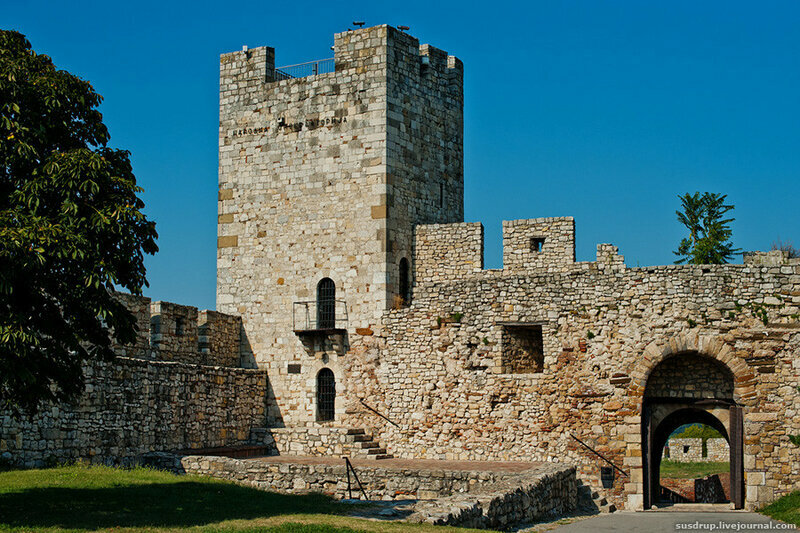 The well-preserved 1460 Nebojša Tower sits directly on the riverbank at the tip of the Lower Town's north-eastern rampart. 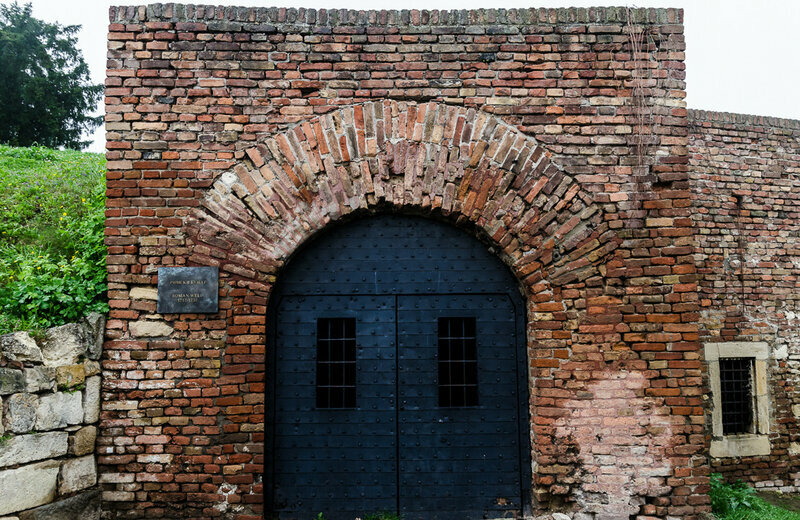 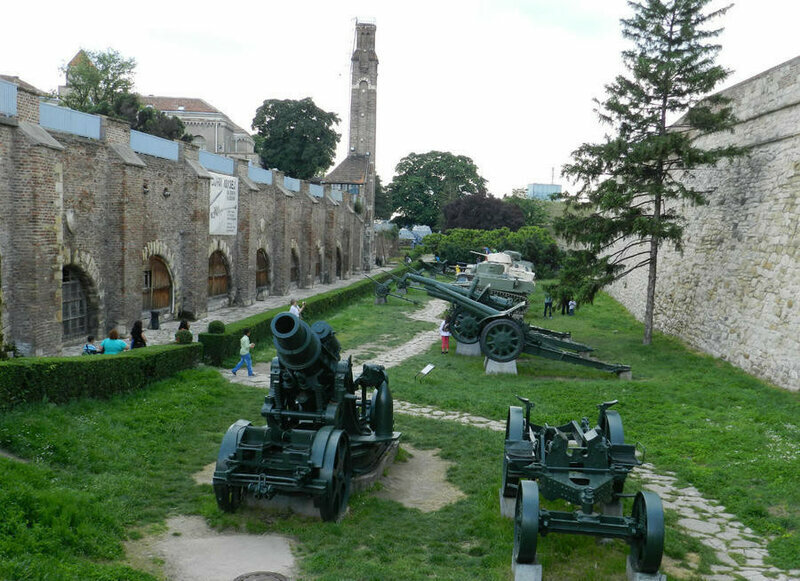 A former dungeon, the tower now serves as a museum, with some excellent exhibits covering medieval Belgrade, the Ottoman era and the First Serbian Uprising.